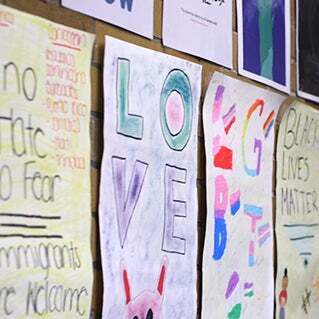 In 2017, there were over 690,000 children in the foster care system, according to the U.S. Department of Health and Human Services’ Children’s Bureau, a number that has risen each year since 2012. In 2017, less than 60,000 children were adopted from that system. Gisele Smith, 2, waves to each neighbor she passes in the hallways of her Merrimack Valley apartment building. 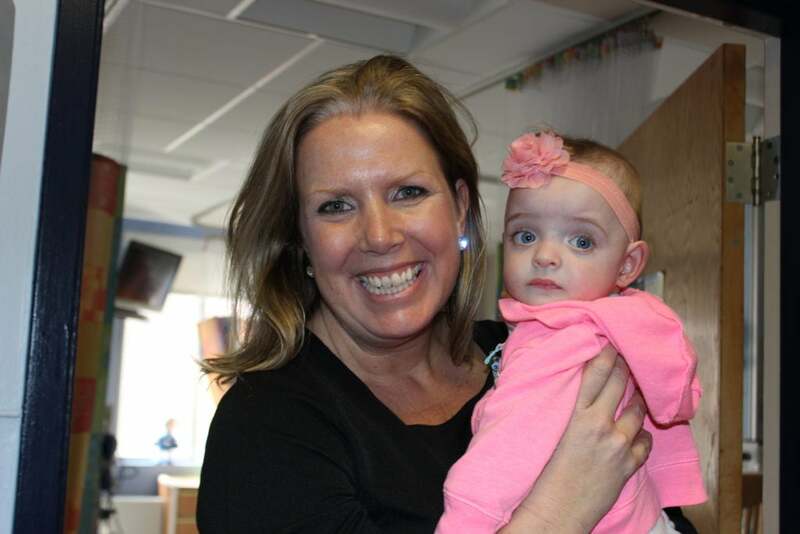 “At one point she started blowing kisses, but I had to start setting some boundaries,” says Liz Smith, 45, her adoptive mother and the senior director of nursing at Franciscan Children’s. Gisele’s favorite book is “If I Were a Unicorn,” and she rarely misses an opportunity to perform her favorite song and dance number: “Baby Shark” (doo doo doo doo doo doo). By all accounts, Gisele is thriving. But as is the case with so many children who enter the foster care system, it wasn’t always clear that she would have the opportunity to flourish in a stable home. On July 19, 2016, Gisele was born prematurely, weighing just 1 pound and 14 ounces. She was diagnosed with Neonatal Abstinence Syndrome, or the sudden withdrawal from opiates she’d been exposed to in the womb. 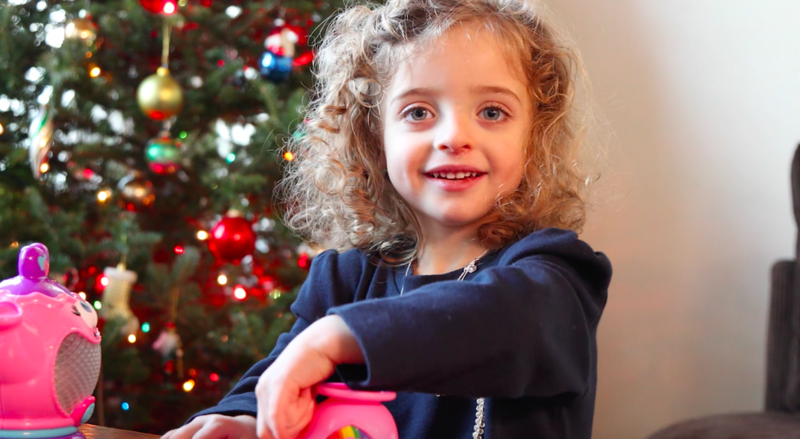 Gisele was a patient in the NICU, receiving respiratory support on a ventilator while also weaning from opioids and narcotics, for three months. She developed an oral aversion, a common occurrence in infants who never experience pleasure from feeding, that made her reluctant to eat. 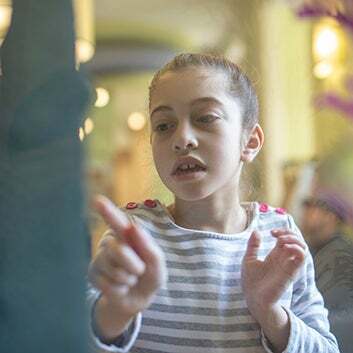 With continued medical needs, Gisele was transferred to Franciscan Children’s, a Brighton-based hospital that cares for post-acute children and adolescents with complex medical, mental health, and educational difficulties. Gisele recovered from her respiratory issues quickly under their care but continued to have trouble eating. When she started to lose what little weight she had, a gastrostomy tube was inserted, allowing her care team to deliver the nutrition she needed directly. As she approached 40, Liz began to wonder how, and if, she would realize her lifelong dream of becoming a mom. Several rounds of IUI didn’t work, and her lab work quickly changed from qualifying her to try IVF to disqualifying her. Devastated, Liz tried to convince herself that it wasn’t meant to be. Surrounded by kids through her work at Franciscan and at home with her 13 nieces and nephews, she told herself that would be enough. Her close friends and family could tell she wasn’t settled with the decision. They suggested she consider adoption, but Liz told them it wasn’t the path for her. She needed a foster family who could manage her medical needs—and fast—if she was going to catch up. With guidance from coworkers who had adopted medically complex children, Liz agreed to foster Gisele. One nurse’s parents, Diane and Steve, even offered to help care for Gisele on days when Liz needed to work at the hospital. 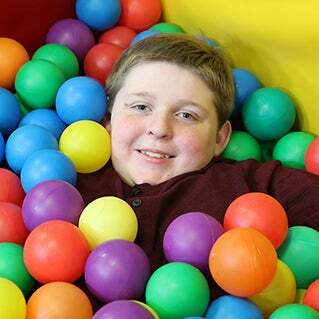 While living with Liz, Gisele went from barely being able to sit up to running down the halls. She went from 16 hours a day on a feeding tube to only using it a few times each day and even starting to eat on her own. She attends preschool three days a week now, and developmental specialists say her social skills are extraordinary. 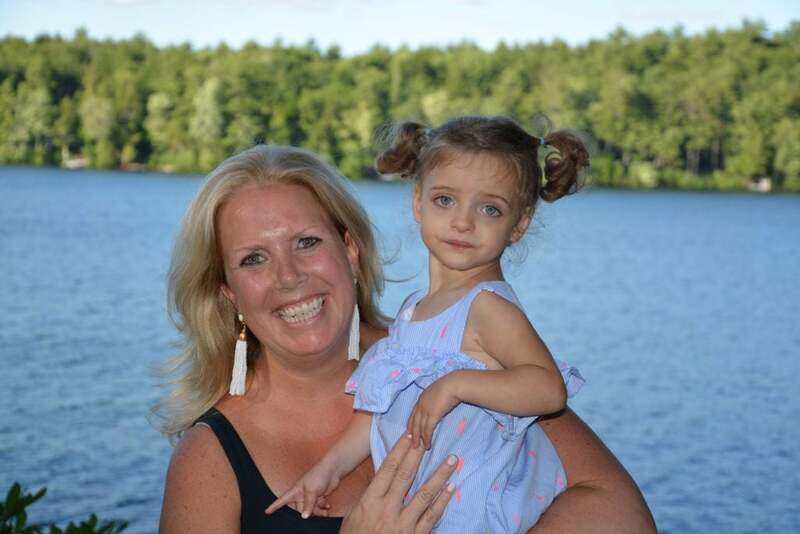 DCF changed the goal of Gisele’s case from reunifying with her parents to adoption a few months after Liz brought her home, but the process of becoming a family was far from over. As is the first step in any adoption case, DCF initiated a “family find” to determine if any biological relatives could adopt Gisele. “I couldn’t imagine losing her,” Liz says. “You’re in your day-to-day routine, but that thought is always lingering and a reality when fostering.” The family find took about four months before it was determined that no blood relatives were in a position to adopt Gisele, and that Liz would be the pre-adoptive parent. Then, parental rights had to be terminated through a formal hearing, pre-trial, trial, and 30-day holding period for the parents to appeal. This meant about another eight months of waiting at the peak of an emotional rollercoaster—one of tremendous joy, but also worry over losing Gisele, fear for her safety, and sadness for her birth parents’ loss. 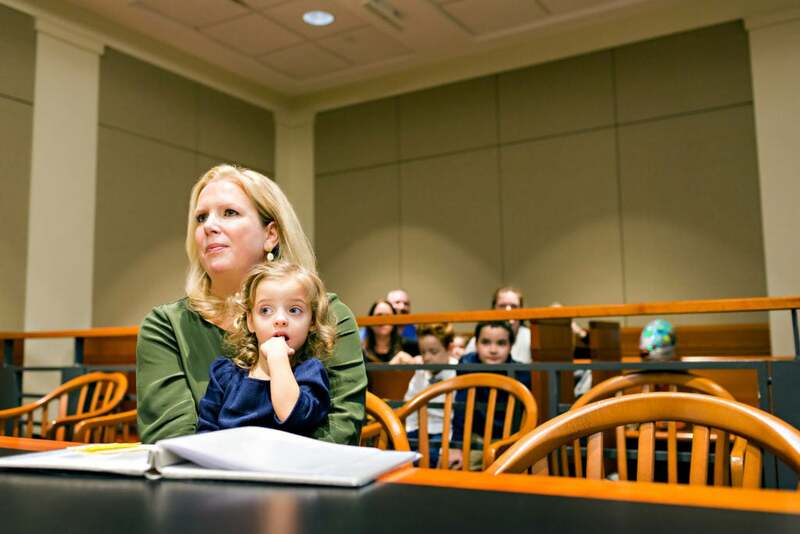 On October 18—about a year and half after Liz began fostering Gisele—members of the family they’d built gathered at the courthouse for the official adoption proceedings. The judge entered the courtroom and took her seat as the attendants stood. When they sat down, to Liz’s surprise, the judge stood back up. Giving birth to a child is a miracle, but adoption is destiny, she said. “When I became Gisele’s mom it really was a feeling I can’t even describe,” Liz says. “It was this relief and stability and just so much to look forward to without all of the questions and the unknown.” Finally, Liz and Gisele could just be the Smiths. A few weeks later, over a hundred people joined them for an adoption party. The party was a celebration not just of Liz and Gisele, but of the Smith’s entire new network. “It’s a true family of people who are not related by blood,” Liz says. Once hesitant about the idea, Liz is now a passionate advocate for adoption. To those who want to be a mom or dad, she says: You can have your happy ending. Let go of the plan. Consider an unexpected path. There are many children out there who would benefit and thrive, just like Gisele has, in a home that supports and loves them. To support Franciscan Children’s mission, please visit Give.FranciscanChildrens.org/GlobeGisele to learn more about the impact your gift has on the life of a child, like Gisele.